We check your property and speak with you about the best practices and treatments for free. Our 25+ years of experience and knowledge helps us thoughtfully give you the answers that you need. If you’ve recently planted, or haven’t noticed any obvious growth in your current trees and bushes or that they have small and stunted leaves, then you should consider our Deep Root Fertilization Program. The program helps new trees and bushes establish strong root systems, and established trees and bushes reach healthy maturity by injecting our custom fertilizer blend deep into the dirt, where the root systems can quickly and efficiently absorb the nutrients. This means faster recovery and growth for your trees and bushes. Get 50% OFF Your First Fertilizer Treatment! Over time, soil becomes compacted and deficient of nutrients. 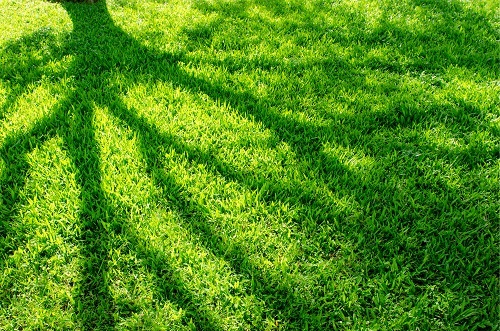 This is the reason you may see patchy or brown spots on your lawn. It’s because the soil can’t feed the lawn like it should. Our Core Aeration process allows us to de-compact the soil, which lets in our nutrient-rich fertilizer, sunlight, and water. It’s the same process used on professional golf courses! Our Tree and Shrub Fertilization Plan ensures healthiness through the growing seasons. We make several visits from spring through fall to make sure that your trees and shrubs are optimally provided for and growing with efficiency. Helps the recovery of your trees and shrubs after the harsh winter, and sets the tone for their health and growth for the entire year. Helps plants to resist the stress of high heat and prevents against mineral deficiencies. The fall fertilization feeds and prepares the trees and bushes for the dormant season and ensures optimal nutrient storage in preparation for the harsh winter. We’ll take a sample of your soil and send it to a lab to be tested. This gives us comprehensive knowledge of exactly which nutrients your plants are lacking, and allows us to come up with a custom fertilization plan catered to your lawn’s specific needs.